Charter a private flight to Seoul, the capital of South Korea and home to one of the world’s leading economies. Hiring a private jet into either (RKSI, ICN) Incheon International Airport or (RKSS, GMP) Gimpo International Airport is the best way to get in and out of the city, and our team at Air Charter Advisors is here to offer the highest standards in executive and leisure travel. Air Charter Advisors offers on-demand private jet charter service to/from Seoul, and with access to thousands of private aircraft around the world, we’re confident we can arrange the right aircraft for your trip, whether flying internationally or domestically. Our private jet charter company is Wyvern-certified, and all of the aircraft we use for flights to Seoul are operated by FAR Part 135 (or foreign equivalent) air carriers. Our growing list of distinguished clients includes royal family members, heads of state and C-level executives from major corporations; celebrities, personal assistants and leisure travelers from around the world. Enjoy the peace of mind you get from working with a charter broker you can trust, and we’ll be your local and global aviation solution for luxury air travel, aircraft acquisition and private jet management. Call or request a quote for your charter flight to Seoul, South Korea. Our team is here to help you with all of your private aviation needs, from booking your aircraft and creating its flight itinerary to arranging gourmet in-flight catering, luxury ground transportation or accommodating any other special requests – consider us your one-stop shop for all things private aviation in Seoul. After your private charter flight arrives, one of the first things you’ll notice is that Seoul (서울) is densely populated. The city’s municipal population is around 12 million people, and its metropolitan population rounds out at just under 26 million, making it South Korea’s largest city – by far – and one of Asia’s financial and cultural leaders. Despite the city’s dense population, it has a surprising number of parks, the most famous one being Namsan Park, offering recreational activities and beautiful views of the downtown skyline. If you’re heading out for some fun, Seoul is also home to Lotte World, the world’s largest indoor amusement park. Other popular attractions include the former Olympic and World Cup stadiums, and the sprawling public lawn at Seoul Plaza. If you find yourself downtown, take advantage of the most advanced transportation infrastructure in the world – trains are connected to every other city in South Korea, and the bus and subway lines are some of the most efficient systems you can find. Subways connect every district in the city, and more than 8 million passengers travel via subway each day. Seoul is also home to over 100 museums, including 4 national and 9 official municipal museums. If you have time for only one, make it the National Museum of Korea, which is the most representative museum of not only Seoul, but all of South Korea as well. Life here revolves a lot around good food and dining at restaurants, so foodies can feel free to indulge in a variety of oriental cuisine. 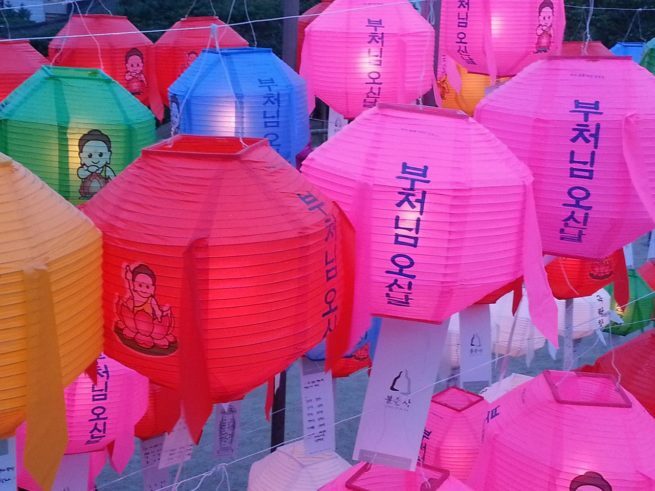 Whether you prefer Korean, Japanese or Chinese, there are plenty of options to choose from, so much so that you’ll find yourself crossing paths with the occasional Italian place. There are even a few international chains that are huge in Seoul, the most popular pair being Paris Baguette and Tours Les Jours. Traveling with a pre-teen? Perhaps you should head over to the Hello Kitty Cafe. Looking for the best nightlife in South Korea? 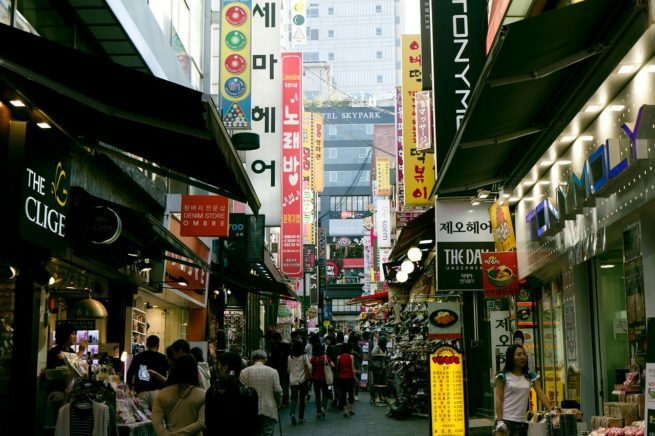 Then head over to Apgujeong, Korea’s upscale party district. It’s considered more of a place to hang out than to party, since nightclubs and bars aren’t found in excessively large quantities, but they’re still easy to find. Stroll away from the crowds and you’ll likely cross a new club or bar serving as “flavor of the week”. English is also more commonly spoken in this area thanks in part to private tutoring or studying abroad. Perhaps you’re familiar with the term “Gangham Style” – the Gangham district, outlandishly revered by Psy in his international hit single, features a high concentration of bars and nightclubs, and it’s where young, ritzy Koreans go to be seen. 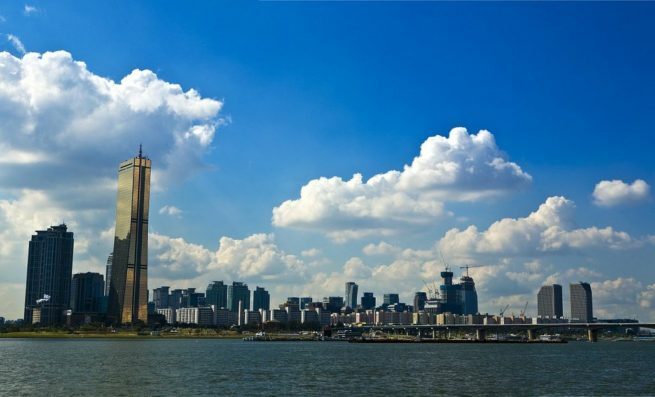 Seoul is the business and financial hub of South Korea – despite accounting for less than 1 percent of the country’s land area, the city held nearly 50 percent of South Korea’s bank deposits, while also generating about one-quarter of South Korea’s GDP annually. Once you arrive, our private jet charter team can arrange for a helicopter charter to be standing by, quickly getting you around the city to meetings, conferences and other business events. Home to the majority of South Korea’s most prestigious universities, and a massive student population as well, Seoul is one of the most technologically advanced cities in the world, and a leading global city in technology and education. The city has the highest rate of broadband users in the world, coupled with one of the fastest internet connections in the world, with networks reaching speeds of up to 1 Gbps. The city provides free Wi-Fi access in many of its outdoor spaces, providing residents and visitors with Internet access at over 10,000 parks. Seoul hosts a number of headquarters for International companies and banks, including 15 companies on fortune 500. Major manufacturers headquartered here include Samsung, LG, Hyundai, Kia and SK. The city’s global standing was confirmed when the Worldwide Centers of Commerce Index ranked Seoul No.9 in 2008, and the Global Financial Centers Index listed it as the 6th financially most competitive city in the world in 2015. Offering some of the best luxury accommodations in all of Asia, Seoul is no stranger to extravagant five-star hotels and resorts. Our private jet clientele will recognize several of the five-star establishments in the city, including the Ritz-Carlton, Four Seasons and the W, while the city offers plenty of luxury options with local appeal. No matter where you decide to stay, Air Charter Advisors can arrange for luxury ground transportation after your private charter flight arrives to bring you to the resort or destination of your choice. We’ve put together a list of our favorite five-star hotels below, check it out! 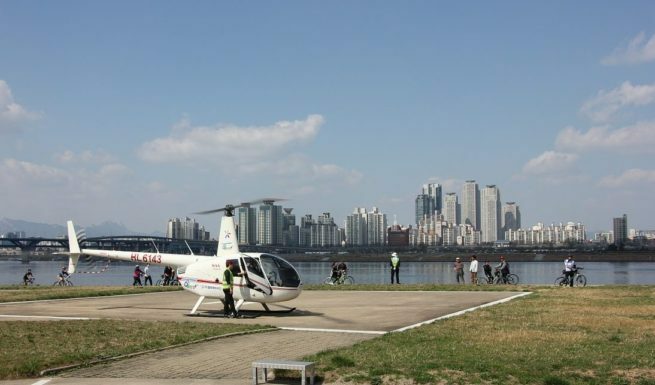 Air Charter Advisors utilizes the following airport to arrange private charter flights to/from Seoul, South Korea and neighboring areas of Asia. Request a Quote or give us a call at 1-888-987-5387 to speak with one of our Seoul Private Jet Charter agents for your next luxury vacation, business trip, or special event.